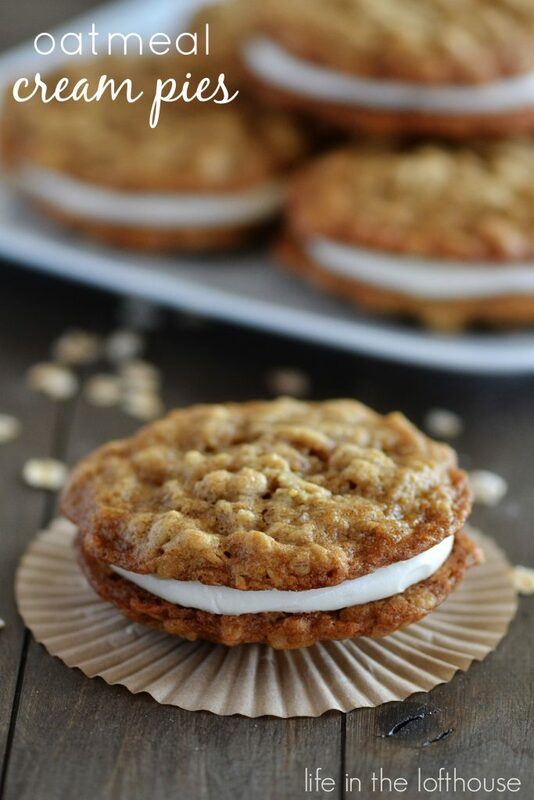 These Oatmeal Cream Pies are two cinnamon oatmeal cookies with a lovely cream cheese filling. They are soft, full of flavor, and so delicious! I love my little sis, Lindsey. We are 20 months apart in age, and super close. For years, Lin and I have shared a love of food. We love talking about food, baking, cooking, and sharing recipe ideas with each other. Lin’s the one, back in 2008, who told me about the whole new world of food blogs. I thought it was the coolest thing in the world! 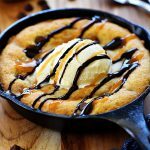 People sharing recipes and pictures online, genius idea! Yep, she was right. I loved it. For cookies: Preheat oven to 350° F. Line two large baking sheets with parchment paper. Set aside. Beat together butter and both sugars until creamy. Add in eggs and vanilla. Beat until just combined. Add flour, baking soda, cinnamon and salt. Mix until just combined. Stir in the oats. Drop by rounded tablespoons onto the prepared baking sheets. Make sure to space apart at least 2 inches. (I only put 8 cookies per sheet) Bake for 10 to 11 minutes only. Don't over bake! Cool 5 minutes on cookie sheet, then transfer to a wire rack. For filling:Beat the cream cheese with an electric hand-mixer until creamy. Add the heavy cream and vanilla. Slowly add the powdered sugar, one cup at a time, until frosting is creamy and lump-free. To assemble pies: Place filling in a large zip-lock bag, and snip one corner off. Pipe a circle of 2 Tablespoons of filling onto the bottom of one cookie. Top with another cookie. Gently squeeze to allow filling to come to the edges. Repeat with remaining cookies and frosting. 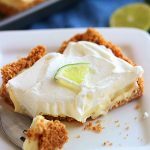 You’re bringing back some pretty yummy memories with these cream pies Holly! They look amazing! Pinned! Aww Holl! You’re the sweetest!! I love it too that we share a love for good food! 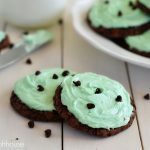 These cookies were simply ah-mazing! The cream cheese filling was genius! Love ya tons!! These are one of my favorite cookies!!! 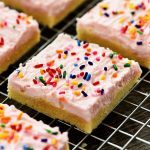 Love that you made them with a cream cheese filling! Thanks, Jocelyn :)They’re one of my faves, too! The cream cheese made them SO good. I also don’t care for the marshmallow fluff! I have avoided sandwich cookies because of that very reason. But cream cheese frosting??? Oh yeah! Another great recipe my loved ones will love. We are having our parents for dinner on Sunday and will be serving a breakfast type meal. 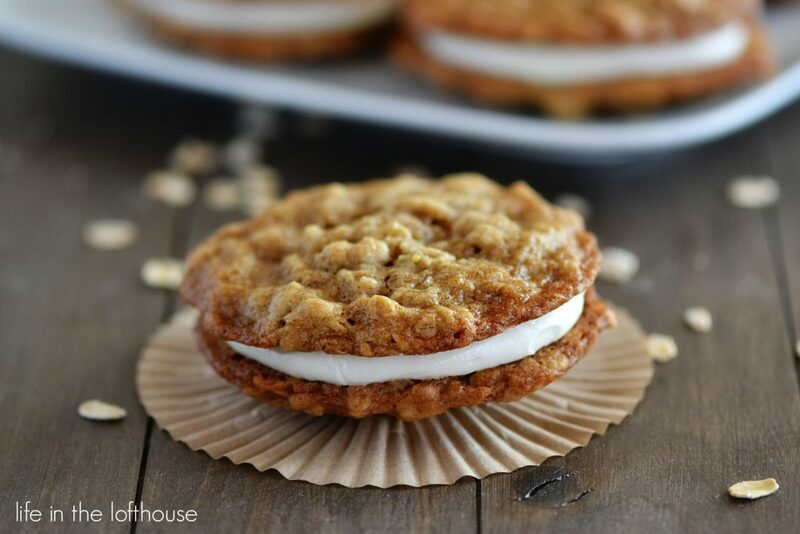 What would be better than oatmeal sandwich cookies with our breakfast themed dinner? They will be perfect!! 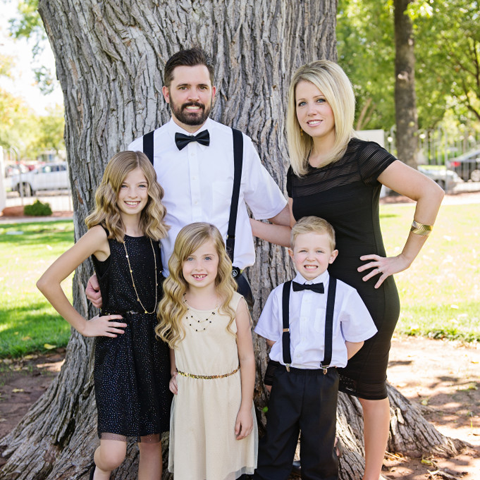 My entire family reads your Blog and we just love everything you make. You are awesome! Visiting from Totally Talented Tuesday. 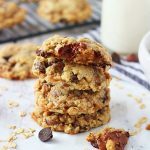 These look so good, I could easily munch of a couple right now, I love oats but never had them in this kind of sandwich cookie before. I co-host Sweet and Savoury Sunday and would love you for you to link up some recipes with us. Have a great day! 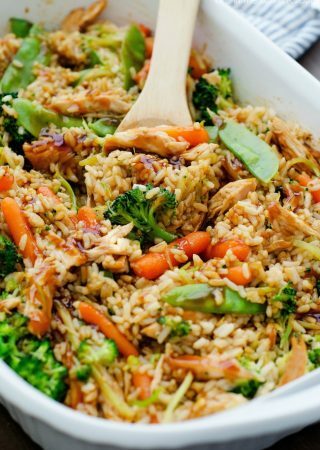 Can Quick Oats be used when making this recipe? Thanks. My cookies flattened way too much to make into sandwiches 🙁 Delicious flavor though. I made this recipe for the 4th of July and it was a HUGE success!! The cookies were tender and delicious (just the right amount of cinnamon) and that filling – whoa, I could eat it by itself 😉 For the 2nd batch and added raisins… mmmm mmmm good! 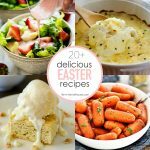 this will definitely become one of my staple recipes! Thank you so much for sharing these delightful treats! I made these today….the cookies are absolutely perfect!! I chose to make a marshmallow creme filling, but will try this one soon. 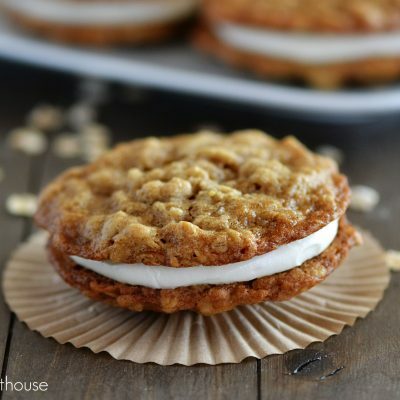 Although my kids and I loved the oatmeal creme pies (yummy), the cookies on their own are absolutely delicious! I made the cookies again tonight, added chocolate chips to half of the batch…what a great recipe!